I love the way one experience leads you to another. Surprisingly often I go somewhere and what I see instantly makes me want to see something else. Earlier this year, at the enormously popular Viking exhibit (it finished a couple of weeks ago) at the British Museum, I added both Jelling in Denmark with its carved runestones and the extraordinary Kyz-Kala fortress in Merv in Turkmenistan to my ‘must see’ list. Now why had I never heard of either place before? Plus there was Harald Sigurdsson, literally Harold Hardrule, who also turned up in England in 1066 (just like William the Conqueror), the last successful invader of England. Harald could be labelled ‘Harald the-not-quite Conqueror,’ he arrived in the north rather than the south and was rather less successfully than William, he was killed just a few days into his invasion. Then there was Harald Bluetooth, now surely that doesn’t have a relationship to Bluetooth phones I pondered? But indeed it does, Harald Bluetooth united the Viking tribes while Bluetooth on my iPhone unites disparate communications systems. 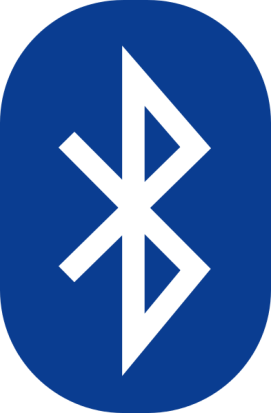 The Bluetooth logo is HB in Viking runes.